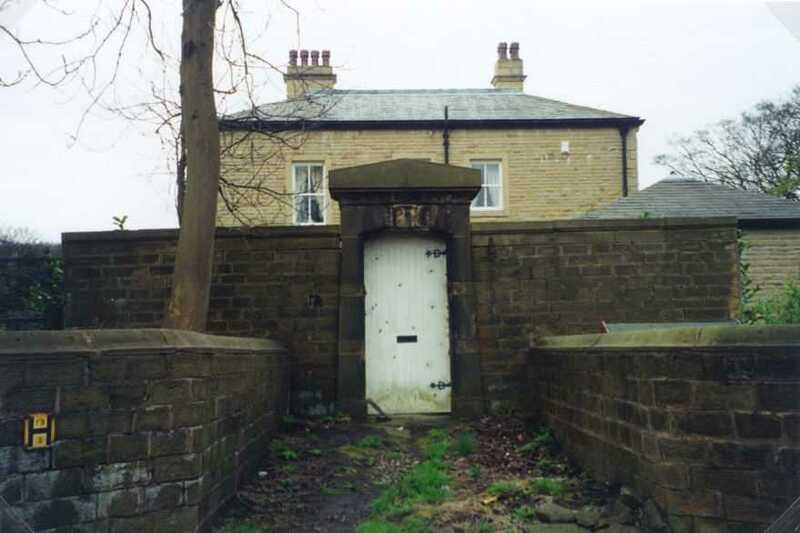 When the Grimshaws first moved to Clayton-le-Moors in the mid-1300s, they “came into” the entire estate. 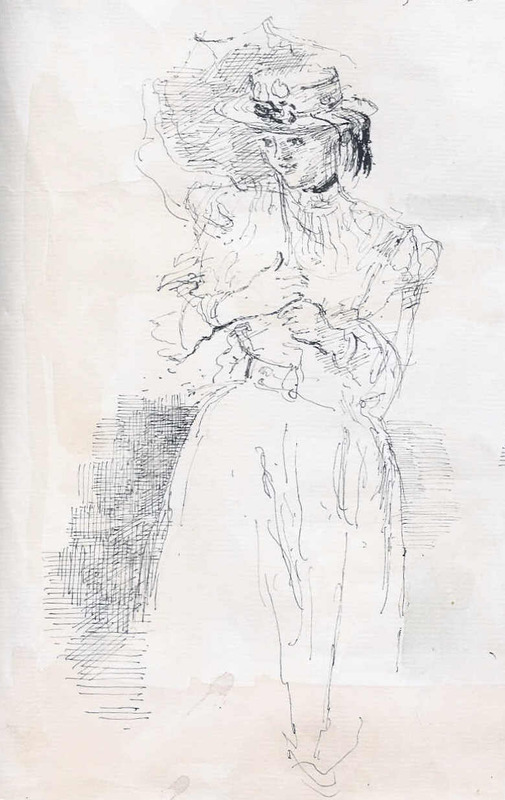 However, Adam’s wife, Cecily, was co-heiress of the estate with her sister, Alice. 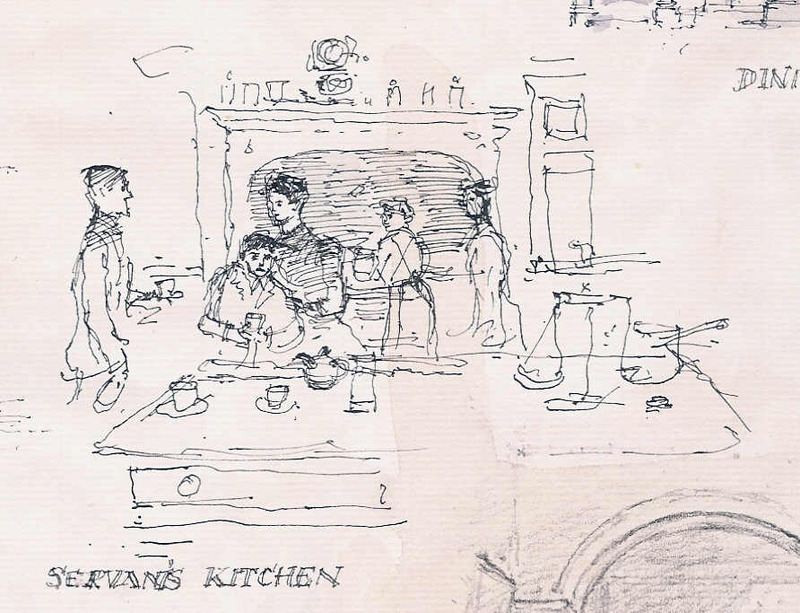 As a result, Henry, the son of Adam and Cecily, had to divide the estate with Henry Rishton, husband of his cousin, Margaret (daughter of Alice). Generally, the northern part of the divided estate remained with the Grimshaws at the “first” Clayton Hall, and the southern part went to the Rishtons. The “second” Clayton Hall was built in about 1772 after the Lomaxes took over from the Grimshaws and was demolished in 1977. The manor of Dunkenhalgh was built for the Rishton part of the estate. The current Clayton Hall is the third structure to be built at the location. Thanks go to Bob Eaton for providing a tour of the grounds of Clayton Hall and, subsequently, the poster that is further down on this webpage. Also to Gerry Brewin and Mr. and Mrs. Leo Wrigley for making the arrangements for the tour and making the introduction to Mr. Eaton. 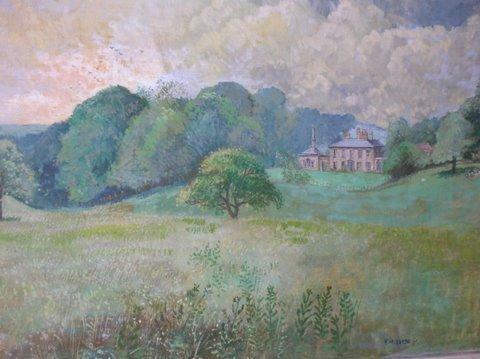 And thanks also to Jack Frane for sharing images of his painting of Clayton Hall by Bob Eaton as well as the sale bill for Clayton Hall when it was sold in 1925. 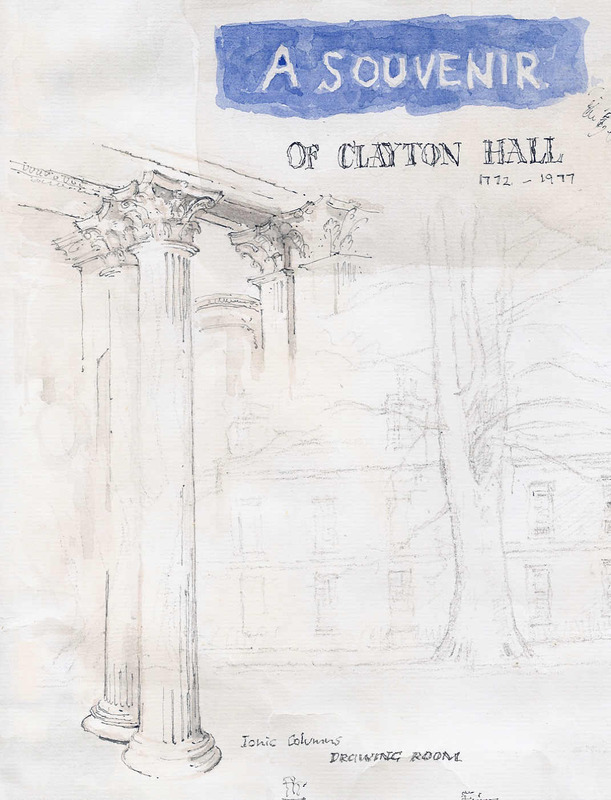 The second Clayton Hall (built by the Lomaxes in 1772 to replace the first Clayton Hall) was demolished in 19771. However, a new (third) Clayton Hall which has a similar (if not replicated) appearance of the central portion of the previous structure has been built at the site. Figures 1 and 2 show northward and southward views of the current building and the gate of the previous hall. 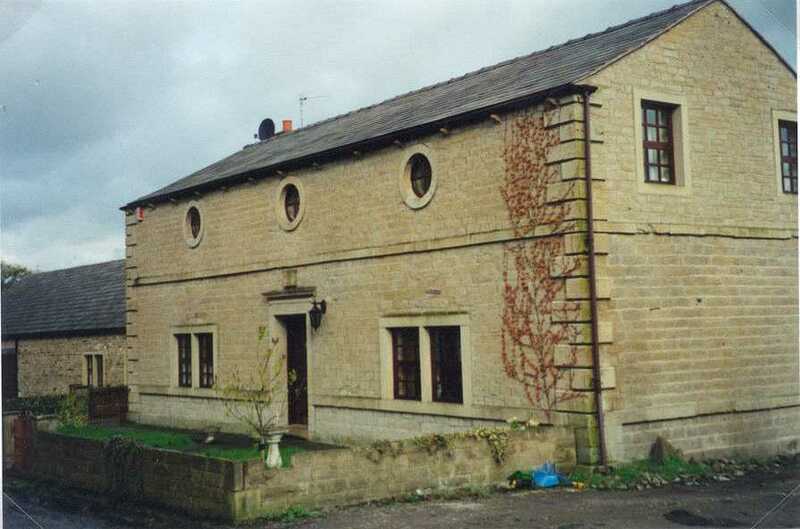 One of the previous out-buildings on the north side of Clayton Hall, now restored as a dwelling, is shown in Figure 3. The former Clayton Hall is shown below. Figure 2. A southward View of “new” Clayton Hall is shown below. A gate or doorway from the previous Clayton Hall is shown in foreground. Photo taken April 1999. Figure 3. A former out-building located at Clayton Hall site is shown below. Photo taken April 1999. A photo of the former (second) Clayton Hall, taken from Ainsworth2, is shown in Figure 6. 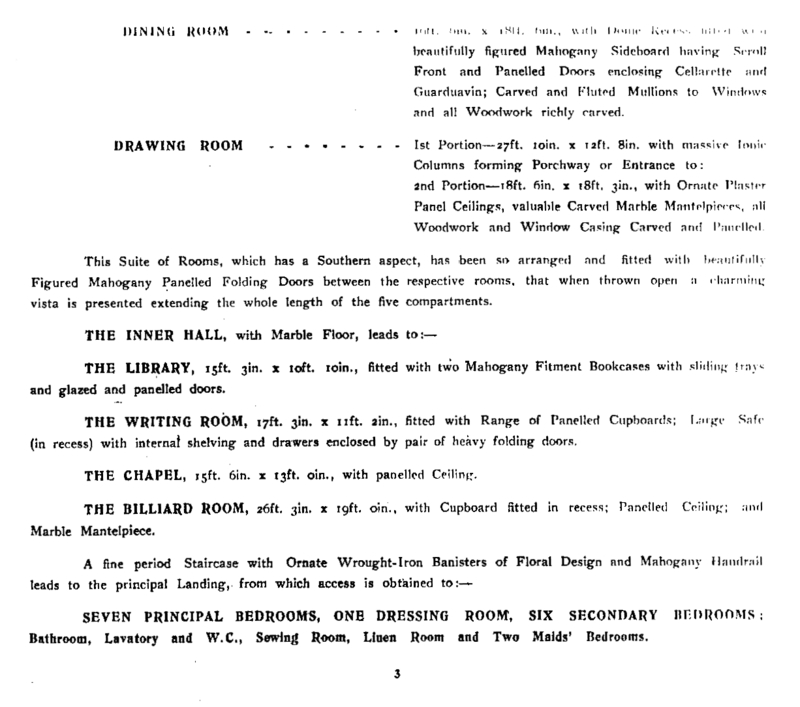 As noted, this hall was demolished in 19771, One of the reasons for its demise was reported to be subsidence of coal mine voids beneath the hall that had weakened the structure. Figure 6. Photograph of Old Clayton Hall (northward view of south side). 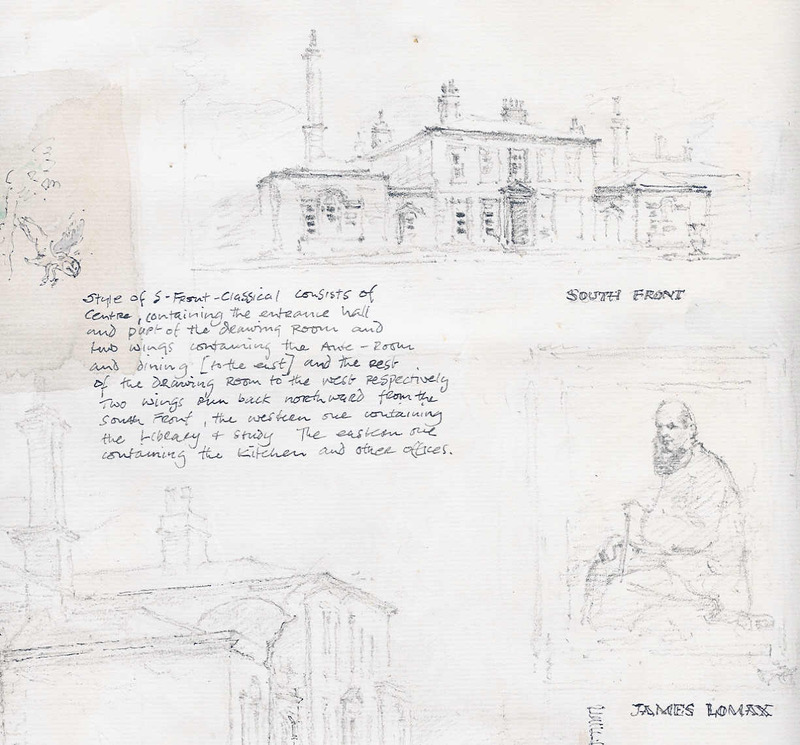 Robert made many sketches and paintings of Clayton Hall not long before it was demolished in 1977. A beautiful example of these paintings is now in the possession of Jack Frane, who kindly provided the following images of the painting in its context in Mr. Frane’s home. The view of the Hall is generally to the northwest. 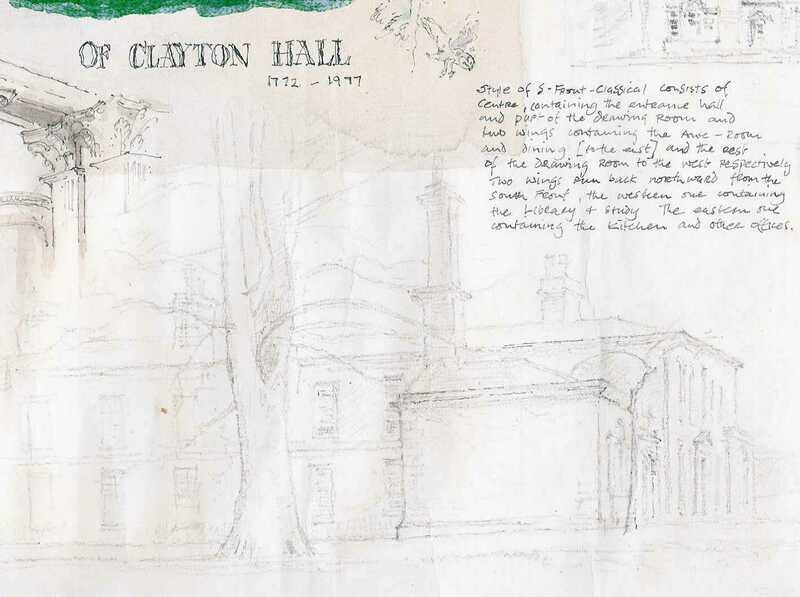 Robert also created a poster entitled “A Souvenir of Clayton Hall, 1772 – 1977”, which was provided to the webpage author in 2000. The poster contains no fewer than nine images depicting various aspects of the hall and the life formerly lived there. Because the poster is too large for scanning or depicting on a webpage, the individual images are presented below. Thumbnails are presented at the end for those who want to have a detailed view of the images. 2. 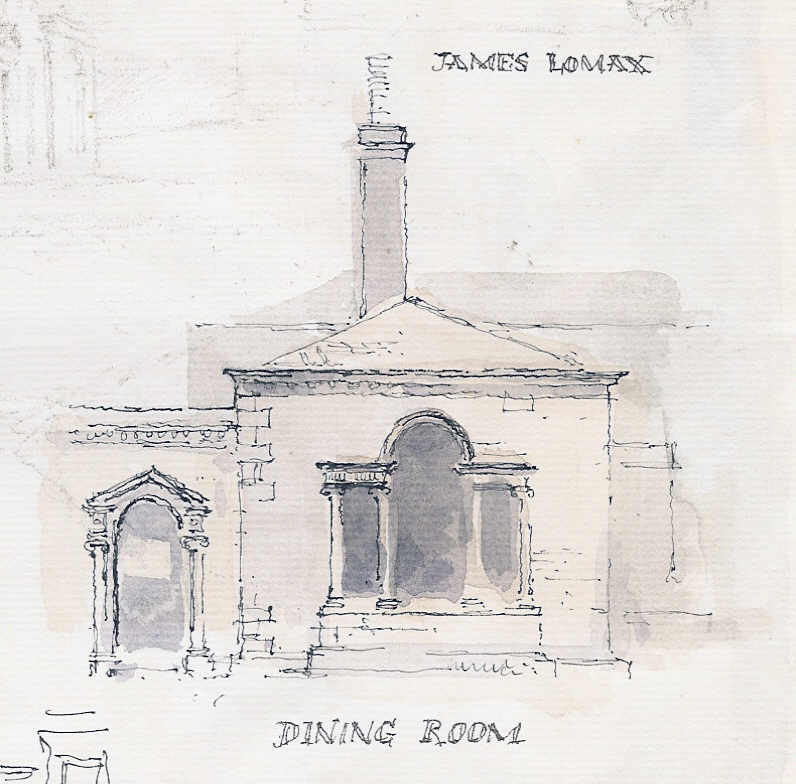 “South Front” and “James Lomax”. 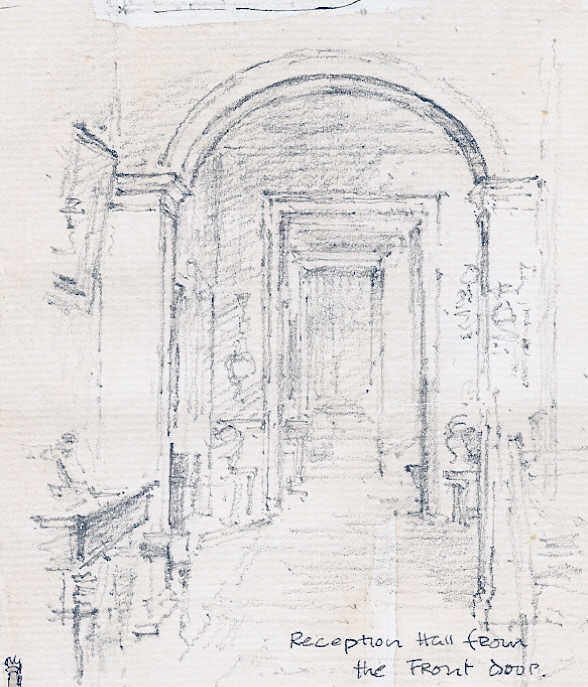 The south front is described with the following caption: “Style of S-Front — classical, consists of centre, containing the entrance hall and part of the drawing room and two wings containing the ante-room and dining [to the east] and the rest of the drawing room to the west respectively. 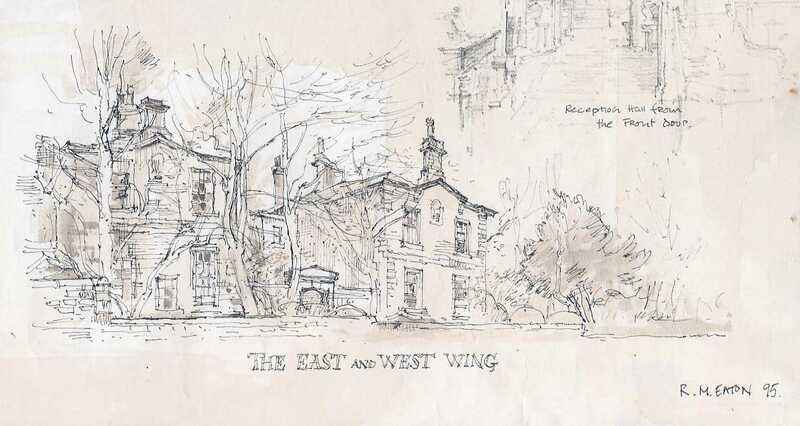 Two wings run back northward from the south front, the western one containing the library & study. The eastern one containing the kitchen and other offices. 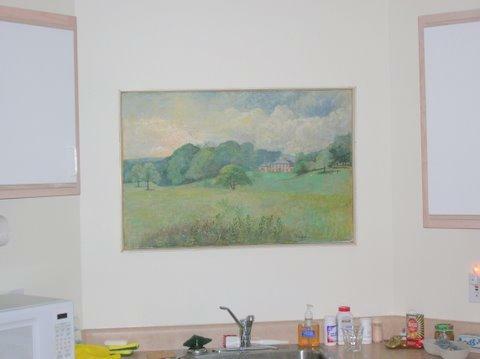 The picture of James Lomax is taken from a large painting that was mounted on the wall of Clayton Hall. James was noted for his skills as an otter hunter. 3. 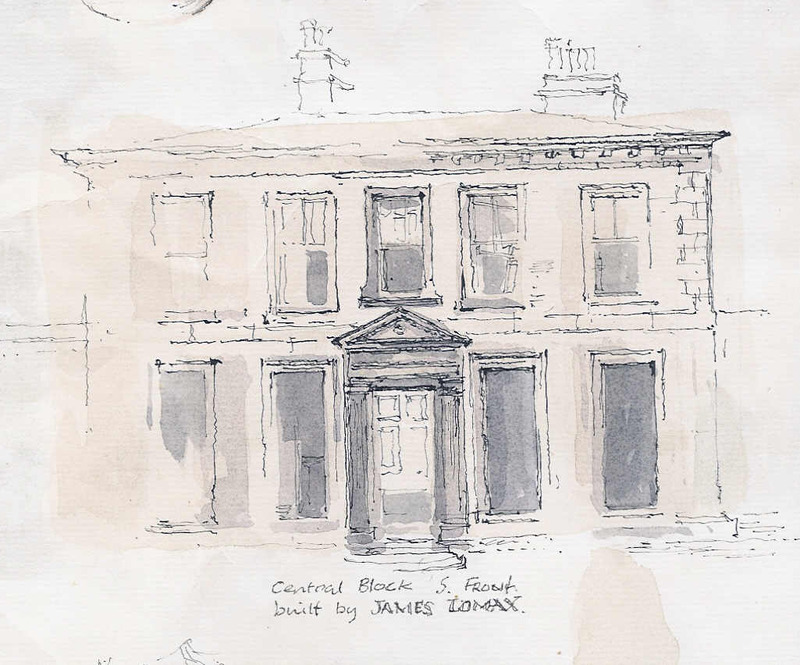 “Central Block, S. Front, built by James Lomax”. 6. “Reception Hall from the Front Door”. 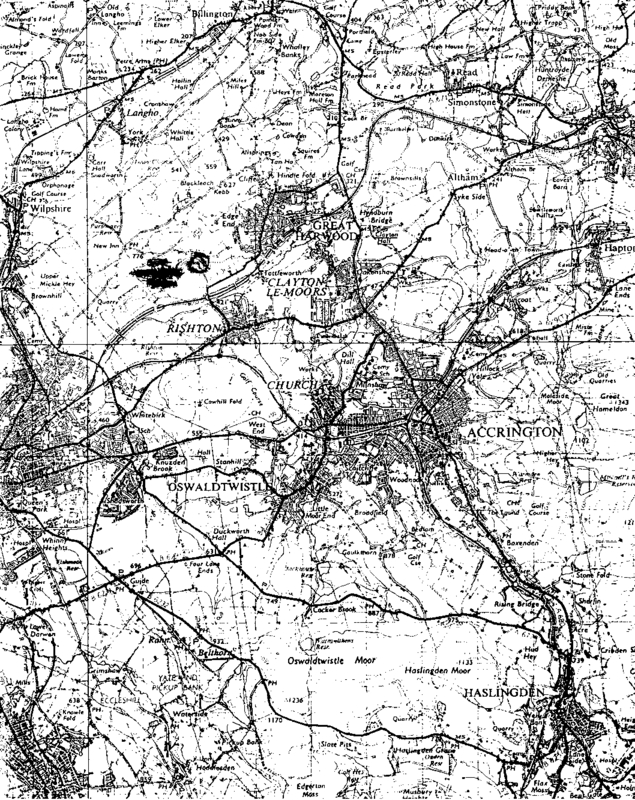 Trappes-Lomax3 published a map inside the front cover of his book that showed Clayton-le-Moors as he understood that it existed in about 1790. This would have been at the time of the beginnings of the Industrial Revolution, which was to have such a large impact on the area. The map is presented in a companion webpage. It includes both the Grimshaw portion (including Clayton Hall) and the southern (Rishton) portion, including Dunkenhalgh. 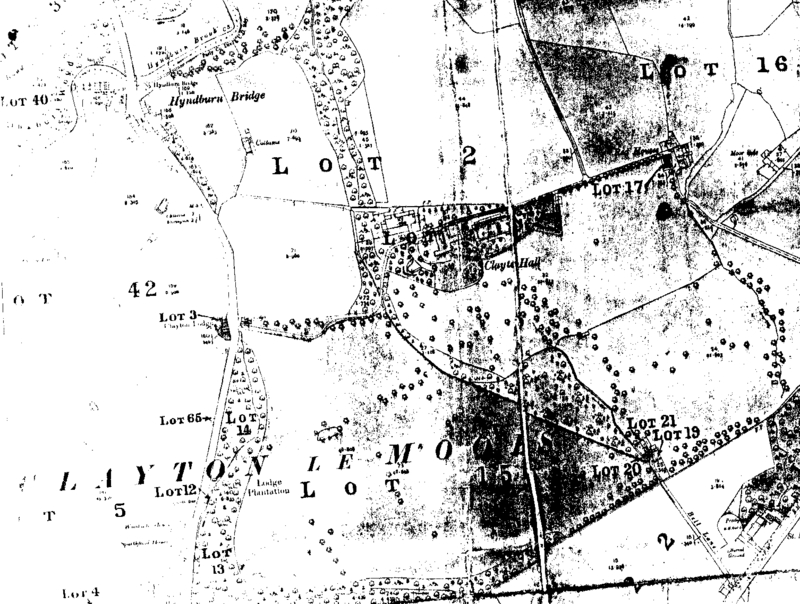 The roots of Clayton-le-Moors as a manorial estate are indicated by the “patchwork quilt” pattern of agricultural land use. 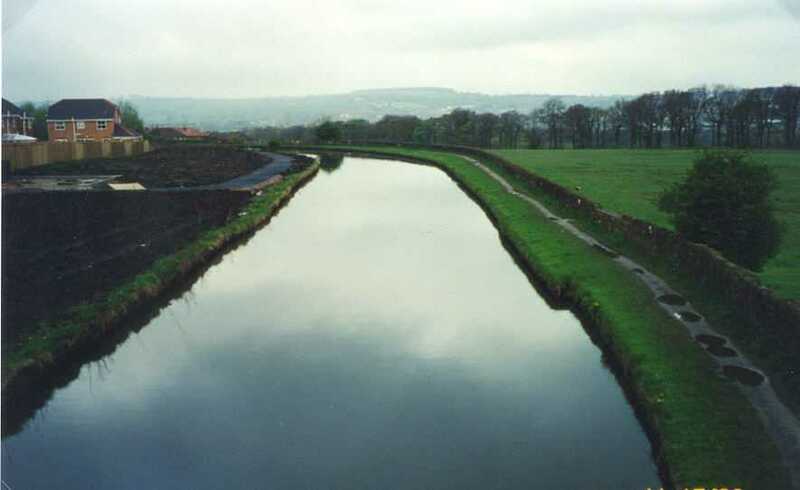 A major geographic feature in Clayton-le-Moors is the Leeds & Liverpool Canal, which runs very close to Clayton Hall; it is shown below in Figure 4. The canal is a major artifact of the Industrial Revolution and is described in more detail on a companion webpage. Figure 4. Westward View of the Leeds and Liverpool Canal from Highway A678 Bridge. Clayton Hall is located just out of view on the right side of the photo. Photo taken May 2000. 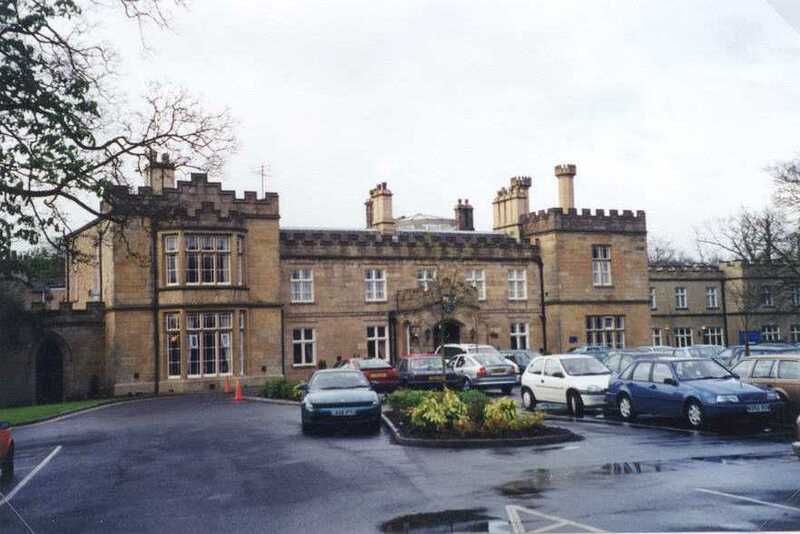 Dunkenhalgh, the “other hall” of Clayton-le-Moors, was built on the Rishton part of the Clayton-le-Moors estate after the division between the Grimshaws and the Rishtons. It is now operated as an upscale hotel and is shown in Figure 5. Figure 5. 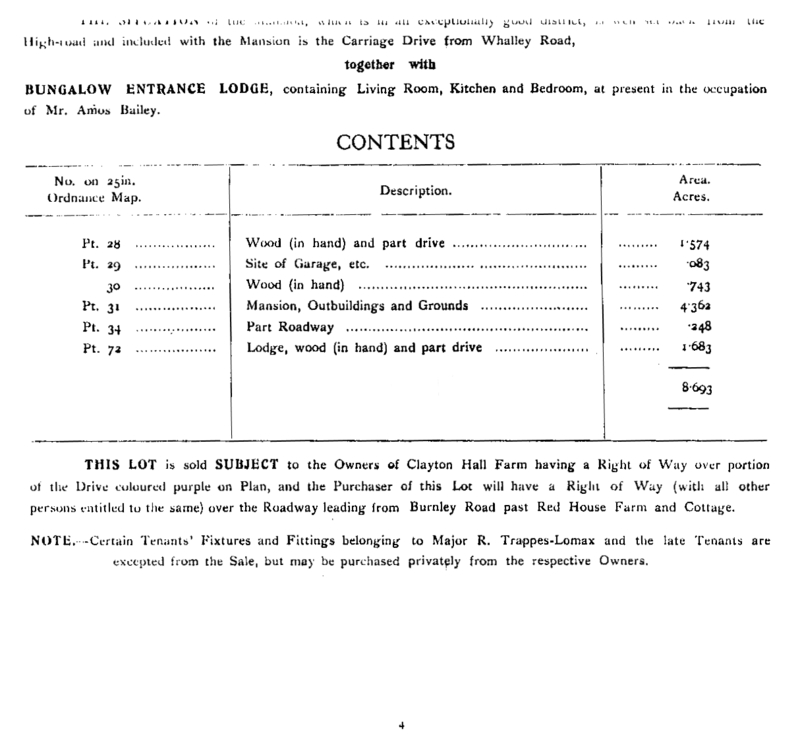 Dunkenhalgh, now operated as a hotel is shown below. Photo taken April 1999. The following information from the internet was found that further elaborates the history of Clayton-le-Moors. The first reference to Clayton le Moors was in 1243 when the area was known as ‘Cleyton’ derived from the Old English words ‘clæg’ & ‘tun’ meaning ‘a settlement on clay soil’, but by 1284 it had become known as ‘Clayton super Moras’ the appendage ‘Moras’ again derived from the Old English words ‘mõr’ & ‘-as’ meaning ‘high tract of barren land’ referring to the high ground between Accrington & Great Harwood. Clayton-le-Moors is situated between Accrington and Great Harwood at the junction of the Blackburn to Padiham Road. It is perhaps no surprise that brick making is still practiced in Hyndburn, with Marshalls Clay Products, who make the world famous red Accrington NORI bricks, being based nearby in Altham, the red colouring coming from iron oxides in the clay. The name ‘NORI’ is said to have come about during construction of the factory chimney, when the builders accidentally reversed the letters. Calico printing dominated Clayton-le-Moors early industry but soap was also made locally, including the famous Dr. Lovelace brand by James Hacking. The town is also the half way point of the 127 mile Leeds-Liverpool Canal. 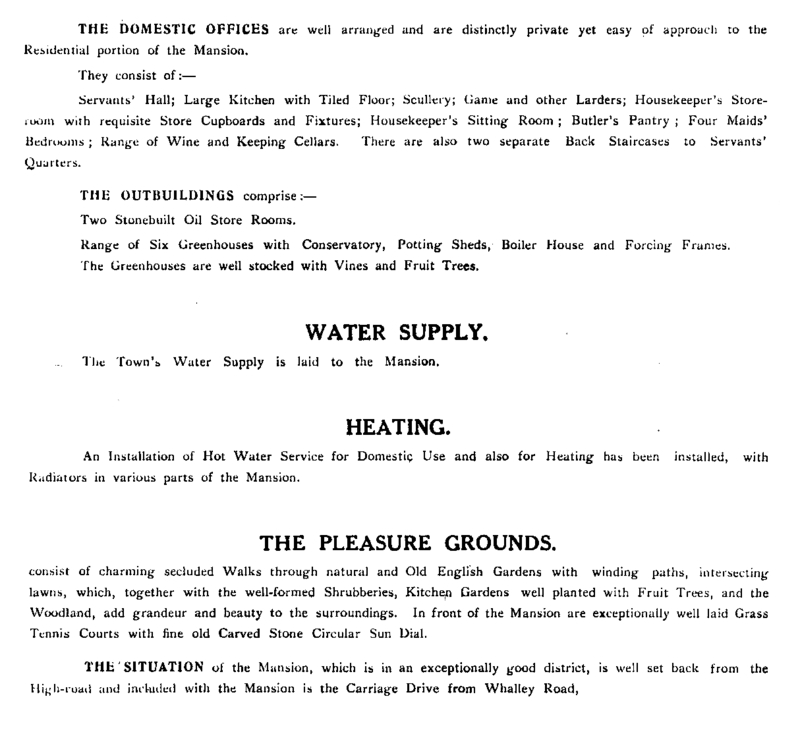 The ‘Load of Mischief’ was the name of a public house in the town which was demolished to make way for the M65 Motorway. All Saints Church was built in 1840 and was modified in 1853 and 1882. Mercer Hall next door was the home of John Mercer (1791-1866) who invented the process of ‘mercerisation’ a process which added strength and lustre to cotton fabric, by treating with an alkaline solution prior to dyeing. 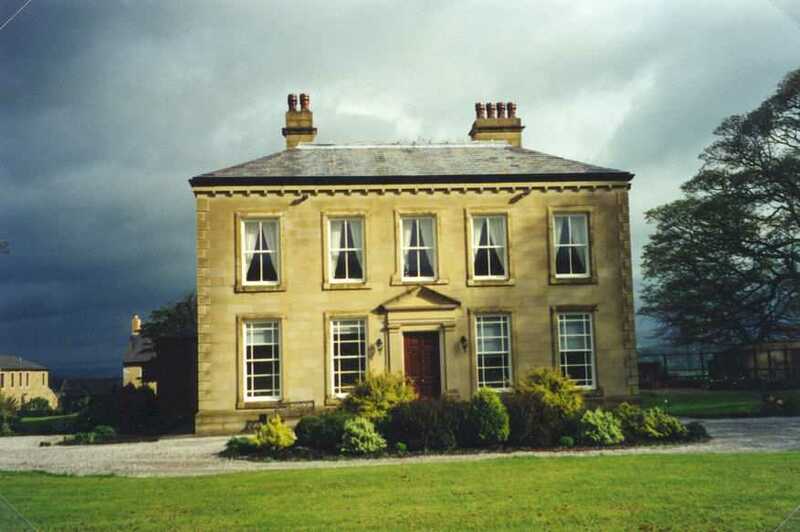 Nearby Sparth House was built in 1556, whilst Clayton Hall which replaced an earlier hall dates from 1772. Parts of the present Dunkenhalgh Hall now a hotel, dates from 1580 which was altered in 1799, this was the home of the Petre family, lords of the manor until 1947. Clayton-le-Moors derives its name literally from the ‘clay town in the moors’. The world-famous Nori bricks – made to build countless streets and buildings throughout the north of England, originated in this area’s clay-rich ground. Calico printing and soap-making were also industrial mainstays of the area, but today the Clayton and Altham business parks mean that many different industries are based here. Clayton is also a milestone on the Leeds and Liverpool Canal as it is exactly half way. 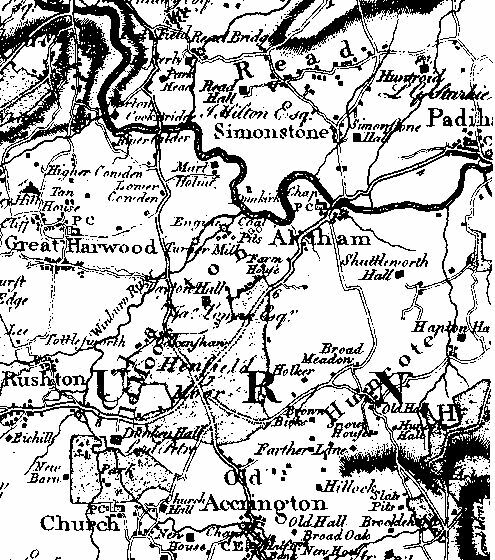 Altham also dates back to Saxon times. The Parish Church of St. James is mainly 16th Century with a 19th Century bell tower. The area was once rich in coal mines and a memorial can be found in the churchyard to over 100 miners who were killed on November 7th, 1883 by an explosion at the nearby Moorfield Colliery. 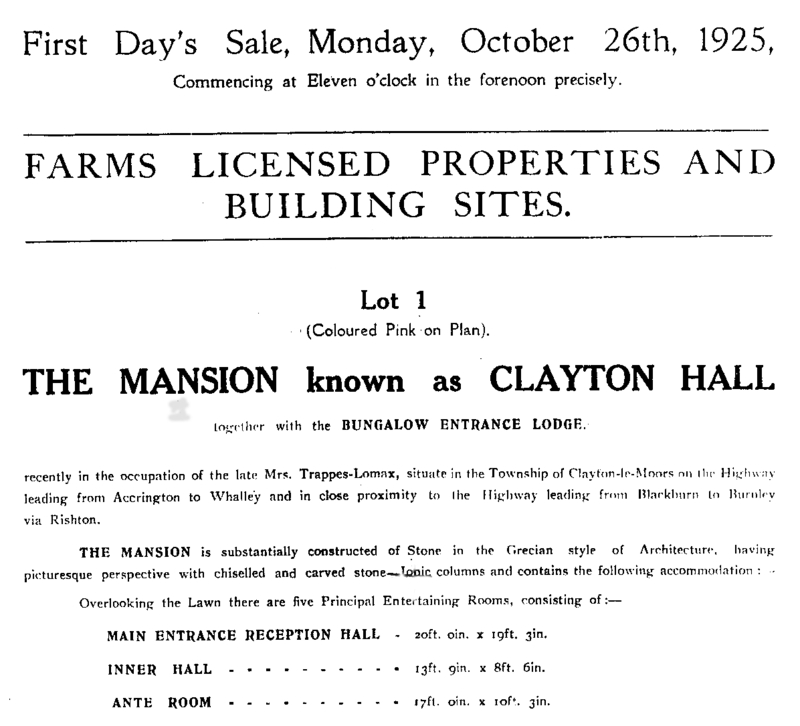 Clayton Hall was sold in 1925; the bill advertising the sale is shown below. Thanks again to Jack Frane for providing a copy of the bill with its attachments. 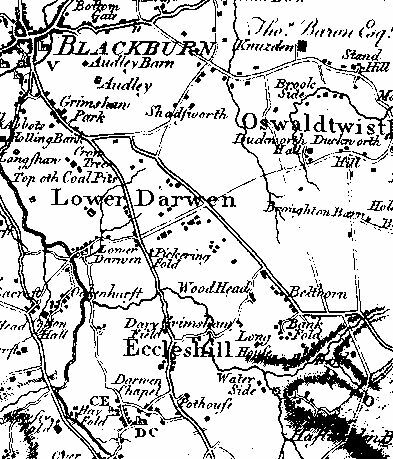 1Pollard, Louie, 1978, Great Harwood Gleanings: Lancashire County Library and Leisure Committee, unk p.
2Ainsworth, Richard, 1928, The Old Homesteads of Accrington & District, Embracing Accrington, Baxenden, Stonefold, Oswaldtwistle, Church, Clayton-le-Moors, Great Harwood, Rishton, Hapton, Huncoat, Read, Simonstone, Altham, Whalley: Accrington, Wardleworth Limited, unk p.
3Trappes-Lomax, Richard, 1926, A History of the Township and Manor of Clayton-le-Moors, County Lancaster: Chetham Society, Second Series, v. 85, 175 p.
Webpage posted July 2000. Updated March 2001. Updated June 2004 with addition of Website Information on Clayton-le-Moors. Updated March 2007 with addition of painting by Eaton.